1. Add the peaches and their juice to a food processor. Whiz for a few minutes until really smooth. Add the strawberry liqueur and mix to combine. 2. Divide peach puree among glasses. Gently top them up with champagne (be careful as it can easily bubble over). Decorate with maraschino cherries and mint leaves. 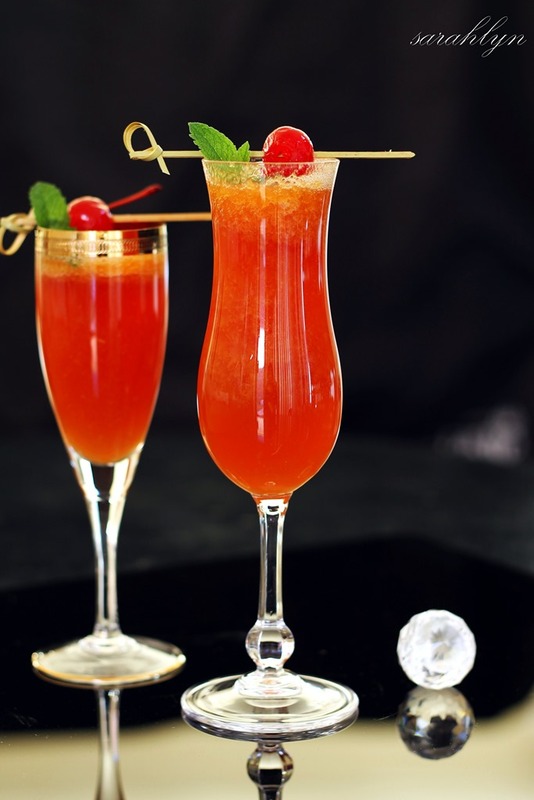 Who doesn’t love a great Bellini? This one is especially delicious, using chilled pink champagne, peach puree and a dash of strawberry liqueur! This is my twist on the classic Bellini recipe.